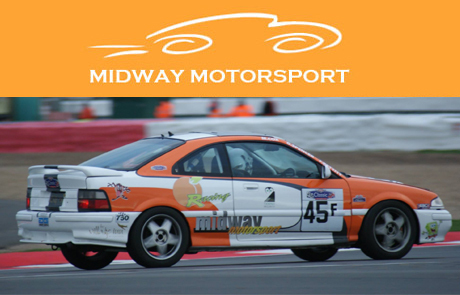 Midway Garage was established in April 2004, by Carey Lewis and Frank Pettitt. Carey had various main dealer bodyshop experience before Midway ranging from Rover / MG, Volkswagen / Audi and Ford. Carey prides himself on good quality and you only need to look at Midway's Racing cars to see this in practise. Frank started at Renault, Nissan, Saab, BMW and then a Saab racing team, Abbott Racing, near Colchester, Frank then started up Suffolk Motors (Newmarket) in 1998, which is now run by business partner Gary Smith. Long standing technician Trevor Cox, who was Toyota trained, and joined Frank at Suffolk Motors at the start in 1998. He came over to Midway, shortly before Frank in 2004. Chris Branson is our diagnostic, fault finder expert. Chris has been with us three years now, and has Skoda and Toyota training. He enjoys the challenge of any make or model. Our newest and youngest member is Apprentice Harry Grey, he has only been with us officially since August 2017. He has joined us on a three year apprenticeship scheme and is also a valued member of the team. At Midway Garage, we aim to fault find, diagnose and repair any make / model of car, van or light commercial up to 3.5 tonnes. We can accommodate slightly larger vehicles, and are known to work on motorhomes and horseboxes too. We carry four different types of diagnostic machines and have access to Autodata, Snap On and Hella technical information. Trevor , Chris and Frank have all been on the Level one Hybrid / electric vehicle course, and are attending courses annually to keep up to date with technology in this ever changing industry. No job too big or too small. Just call us on 01353 661072 for a free estimate. With most work carried out we offer a free courtesy car. We also do MOT's and repairs, Servicing, Air conditioning service and repairs, tracking, exhausts, tyres, clutches and most engine work. And obviously a full Body shop repair system, again call Carey on 01353 661072 for a free estimate.